It’s been a long time since we have seen the Yeah Yeah Yeahs in action. We will get a shot to see them soon as they just announced a super intimate show at Union Pool that will take place on December 8. Tickets are not cheap as it is a benefit show. Prices are either $75 or $100 bucks, depending on if you want extra goodies. However, Union Pool is probably the smallest venue you will ever be able to see these guys again. All proceeds benefit WAVES 4 WATER, a Hurricane Sandy relief initiative. 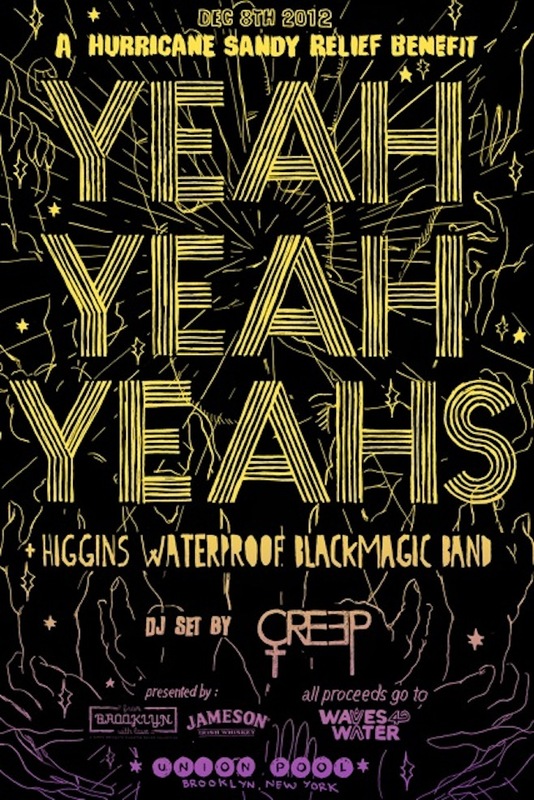 Higgins Waterproof Black Magic Band will open, featuring Tunde Adebimpe of TV on The Radio. Tickets go on sale tomorrow at noon.